The conference will examine current advances and future research needs. It is aimed at all those engaged in dealing with disasters through research and allied areas of education, policy and practice. 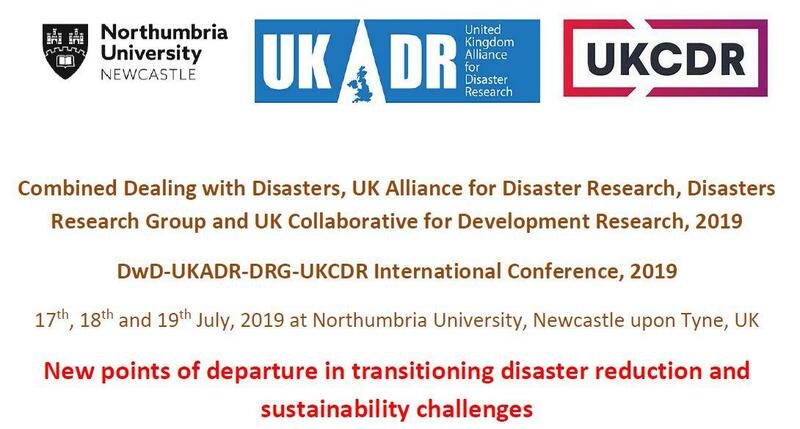 Coming soon after the United Nations Global Platform for Disaster Risk Reduction in May 2019 and ahead of the next Climate Summit in September 2019, this event is to enlighten progressive research driven actions. The underlying area of inquiry will address new points of departure for science and technology, political will and behaviour change initiatives. It asks which systemic changes to the way people live with and take on disaster threats and sustainability challenges build momentum to survive and to thrive? Refer to the flyer for further details.